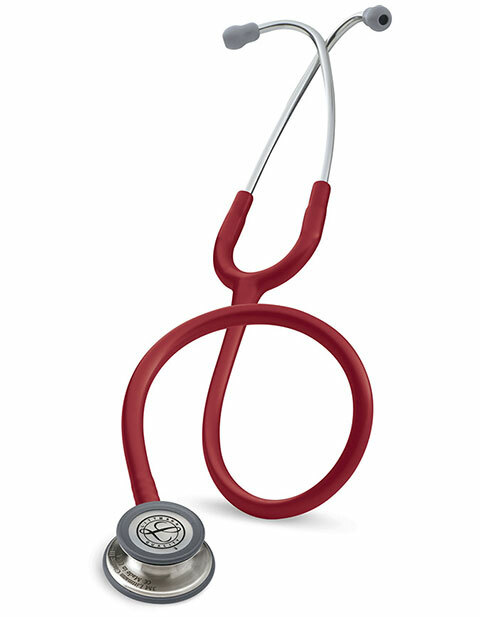 This Littmann Classic III Stethoscope in Burgundy has got all that you would want in your Stethoscope. It features two-sided chest piece with tunable diaphragms on both the adult and pediatric sides, single-piece tunable diaphragm is easy to attach, and easier to clean because its surface is smooth without crevices, Pediatric side converts to a traditional open bell by replacing the single-piece diaphragm with a non-chill rim, Next-generation tubing provides longer life due to improved resistance to skin oils and alcohol; less likely to pick up stains. Small tunable diaphragm is useful for pediatric, small, or thin patients; around bandages; and for carotid assessment.